VH-CAB was one of 3 Lockheed Model 18 Lodestars acquired by DCA in March 1947 from RAAF surplus stock at RAAF Tocumwal, NSW. 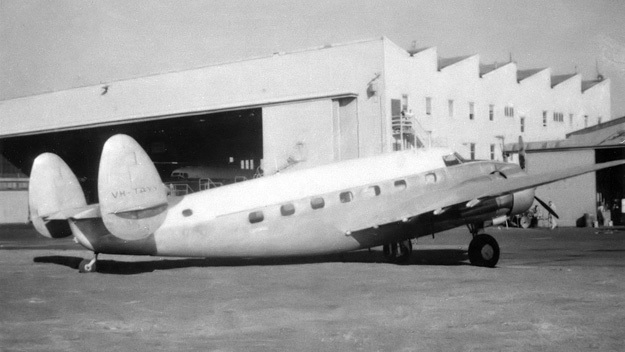 Built at Burbank, California, as a C-60-5-LO (c/n 2613) the aircraft was allocated USAAC Serial Number 43-16453. 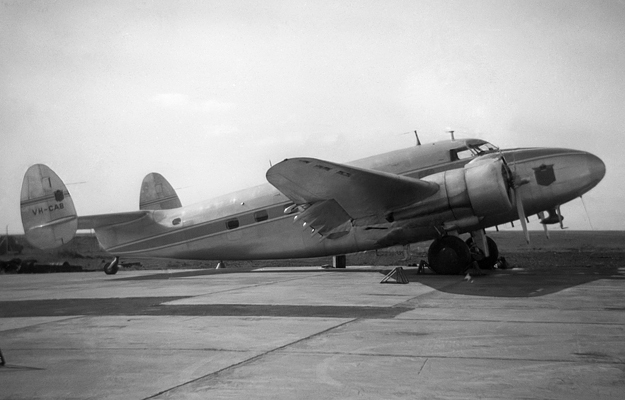 This was the subsequent aircraft on the production line to the one that later became VH-CAC. The aircraft was transferred to the RAAF under lend-lease and was ferried across the Pacific, arriving in Australia in January 1944. The aircraft was given the RAAF serial A67-10 and radio callsign VHRAJ, and allocated to 37 Squadron. The aircraft suffered two accidents, at Merauke in Dutch New Guinea and at Mascot. It was ferried to Parafield for repairs by ANA and subsequently allocated to 4 Comm Unit where it was fitted with four passenger seats. After the war the aircraft was put into storage at Tocumwal until sold to DCA. After the war, the DCA purchased A67-10 for £2,500 along with two other Lodestars. The aircraft were not considered safe to be ferried out of storage at Tocumwal because of a recurring problem with the sealant in their wing fuel tanks. Instead, they were trucked to Adelaide in September 1947 where two were rebuilt to full civil standards by the Department of Aircraft Production at Parafield Airport. The Lodestars were initially fitted for 8 passengers and 2 crew. 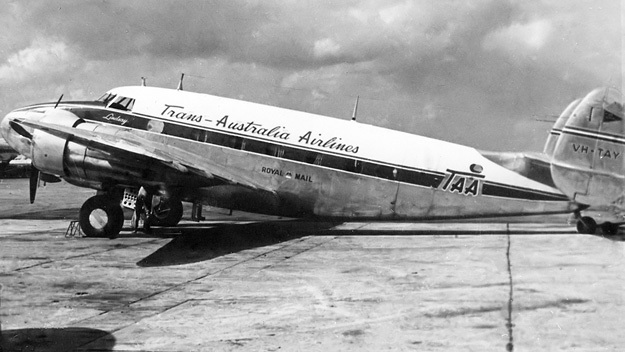 After this overhaul, the aircraft was added to the civil register as VH-CAC on 11 October 1949 and based at Melbourne/Essendon. The photos above and below show it on the apron at Essendon soon after receipt by DCA. The aircraft was painted with blue & white trim over polished metal with the DCA emblem on the nose and fin. For reasons that are not entirely clear, the DCA Lodestars were not retained for long. 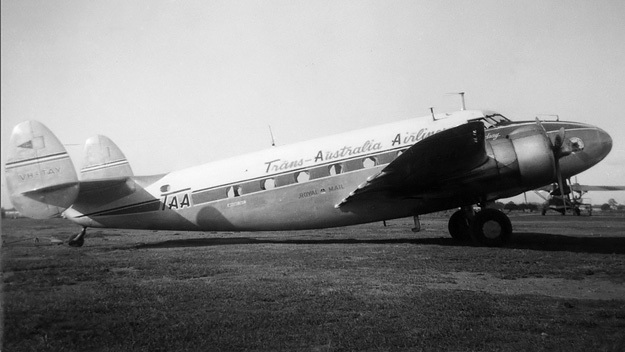 VH-CAB's CofA was allowed to expire in October 1950 and the aircraft was struck off the Register the following year, although retained in storage at Essendon. 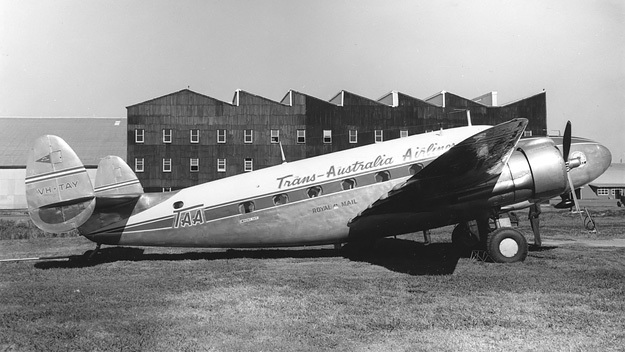 In February 1952 the aircraft was sold to Trans Australia Airlines, along with VH-CAC. 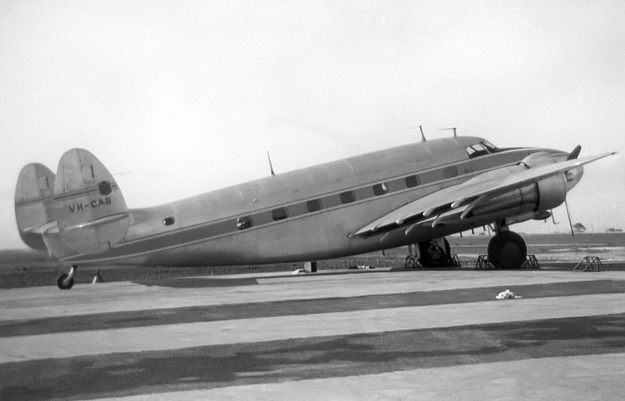 It was overhauled and fitted with 13 passenger seats, and re-registered as VH-TAY David Lindsay on 26 February 1952. The two Lodestars were used on the Townsville-Innisfail-Cairns route until retired in April 1953. The three images below show VH-TAY during its brief TAA service. TAA had been given an offer too good to refuse, brokered by Aeroquipment of Australia: a sale in the USA for USD$25,000 for the aircraft and all remaining spares. The photo below shows VH-TAY before being ferried overseas, stripped of its TAA markings but retaining the white cabin roof. VH-TAY was struck off the Australian Register on 5 May 1953 and ferried to the USA via Brisbane as N5080V. By January 1954 it had been re-registered N24W and begun conversion to a Learstar high-performance business aircraft. The aircraft passed through a succession of owners, being re-registered again as N79T in 1958, N1791 in 1966 and N14WS in 1969. The aircraft is thought to have been operational until at least 1982 but its current status is unknown.